25 March 2014: Indian democracy at crossroads 3 concludes: ….coalition governments could never be stable as history had proved. In the light of these historical facts, other than NDA or UPA coalitions the talk of any Third or Alternate Front would be an experiment in futile …. What is stability? The above stated conclusion implies political stability. Political stability is important. But, more important is governance stability, which manifests in advancement of a nation in measureable performance indicators. What are these performance indicators? Today, we embark on general elections in the aftermath of perceived failure of UPA to achieve Gross Domestic Product (GDP) growth. The growth rate indeed has fallen to 4.5% during 2013 on year-on-year (y-o-y) basis. Measured quarterly, the highest ever achieved was 11.4% during Q-2 of 2010. Buoyed by this data, Man Mohan Singh (MMS), our PM, and his managers of economy in the Finance Ministry, Planning Commission and Reserve Bank began to promise double digit growth rate. Dreams were weaved of our surpassing China and becoming the Asian powerhouse. Our economist PM was hailed as one of the best leaders India ever had by world leaders. In celebration, President Obama spent the highest ever amounts on a sumptuous state dinner during MMS visit to Oval Office. MMS became a role model that every emerging economy should have. Alas, what goes upmust comes down. Boom to gloom, screams Narendra Modi (NaMO). NaMO has gone around the country, addressing well attended rally after rally, attacking MMS as the weakest and worst PM we ever had. Public memory is short. If we believe the popular mood as expressed by media, opposition politicians, disgruntled Congresspersons and opinion polls by private satellite TV channels, NaMO has succeeded. His rhetoric is believed. MMS indeed is expected to go out of office, shamed by the inglorious but not deserved epithet of ruining his party electorally. Pause for a moment and ask yourselves: has your life suddenly become so miserable? Is GDP growth rate the only indicator of your happiness and quality of life? We are familiar with the proud boast of NaMO of Gujarat Model. If we believe him and his spin doctors, Gujarat is in United States of America (USA) and not in India. I was in Gujarat last week. I have visited Gujarat four times in three years. I will write about Gujarat Model in my next episode, but for now, I will write on Kerala Model. Because, I have visited Kerala three times in the last nine months. And, more importantly, no one roars from election rostrums about the success story called Kerala Model. 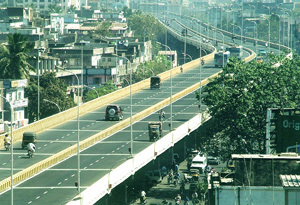 The Kerala model of development, based on the development experience of the southern Indian state of Kerala, refers to the state’s achievement of significant improvements in material conditions of living, reflected in indicators of social development that are comparable to that of many developed countries, even though the state’s per capita income is low in comparison to them. Achievements such as low levels of infant mortality and population growth, and high levels of literacy and life expectancy, along with the factors responsible for such achievements have been considered the constituting elements of the Kerala model. Those of my readers residing in Arab Gulf interact with Keralites on daily basis. They are well educated, healthy, hard-working and enterprising. They are culturally connected to their roots a lot more than other Indian expats. Their mastery of traditional song and dance forms is displayed during the celebration of festivals: during Onam, Christmas, and Eid, Their social adhesiveness is a prime source for jealousy in communities less socially bonded together. For example, Mangalorean Catholic Community (MCC) leaders often vent their frustration arising out of failure to enthuse members of their community associations to devote time and resources to public service. Meet a Keralite and watch what happens when the two of you is joined by a second Keralite. They break into Malayalam and within minutes the conversation turns into a political analysis. Keralites are the most politically aware people among Indians. What is true of Keralites in the Gulf is true anywhere including inside Kerala. 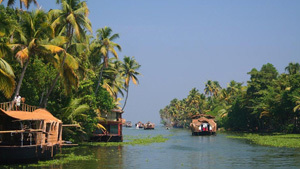 In a nutshell, Keralites are politically, socially and culturally highly active. They produce more leaders in every sphere of life in comparison to others in India and on par with developed countries. They can discuss sensitive political issues and examine different, often contradictory, viewpoints in comparably more (emotionally) relaxed atmosphere and leave the forum with much less bitterness or without nursing personal enmities. Such emotional maturity and intellectual honesty arises from a self-confident, self-content, self-respecting and better educated citizenry. I will now delve into some of those performance indicators that make our lives better and make us feel good about ourselves and the society we live in. 1. Literacy Rate: The adult literacy rate in Kerala is 97.5% in 2013, with its nation-wide rank of 1. Nearly every child older than six years enrolls in primary school. The school drop-out rate is lowest. Compare this with Karnataka, ranked 16th with a literacy rate of 78.8%. The school drop-out rate desires much improvement. The much hyped Gujarat is only 3 ranks ahead of Karnataka at No 13, with a literacy rate of 81.2%. 2. Universal Health-Care: I have said Keralites are healthier than other Indians. Kerala has public healthcare systems in both government and private sectors enviable by other states including Gujarat. Performance of healthcare systems is measured,among other parameters, by a) percentage of malnutrition especially among children and women, b) infant mortality rate, c) percentage of live births per registered pregnancies, d) number of maternity deaths, e) diseases borne out of not having access to clean and safe drinking water, f) access to free primary vaccinations, DPT and small-pox immunization services and g) sanitation in terms of availability of public toilets per thousand urban population. I can provide statistics against each of these parameters for Kerala, Karnataka and Gujarat from reliable and independent sources. However, do some homework yourselves. You will be convinced that a hyped GDP growth (meaning money focus and wealth is everything) is not a measure of well-being and happiness. 3. Human Development Index (HDI) is an internationally accepted measure of societal well-being. From 1990 onwards, the United Nations has issued composite statistics on contributing factors and ranked countries by level of "human development". Life Expectancy, Education and per-capita GDP (as an indicator of Standard of living) are factored in this index. In annual Human Development Reports since its inception, Kerala has topped in all parameters, even more than most developed countries. 4. 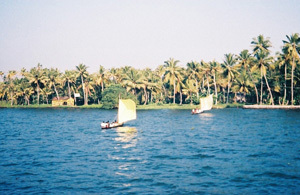 The international recognition of Kerala Model has stirred a debate among Indian-origin but western-educated or based prominent economists on Kerala Model vs. Gujarat Model. Amartya Sen, who won Nobel Prize in Economics in 1998, is a proponent of Kerala Model. His rival, Jagdish Bhagwati, has not won a Nobel Prize yet; but,he has his own western and Indian admirers, among whom NaMO is one. In return, Bhagwati has endorsed Gujarat Model in television debates and media interviews. He has approved BJP’s anointing of NaMO as the right leader India needs today. Amartya Sen School of Economics has more takers in UPA and other left-of-center political parties in India than Jagdish Bhagwati School. The right-leaning BJP and a few of its allies profess by the latter. The former sees social justice, with egalitarian distribution of national wealth. as a more desirable goal than the latter’s focus on wealth creation. The former sees concentration of wealth among a few elites a cause for social unrest and civil wars, while the latter believes markets have inbuilt correction mechanisms to oversee distribution of wealth according to merit. This is a debate for another time. If we accept that material wealth does not buy us happiness or well-being, then we must concede that Kerala Model can deliver for India as much as we expect Gujarat Model to deliver. The neo-liberals among us are prolific in praise of Gujarat Model and Modi as its architect. Truly, it is not an invention of NaMO. He is an inheritor and beneficiary, because as a disciplined, hardworking, talented and strongly motivated person, he has accentuated and fine-tuned the model in Gujarat during his 12 years as CM. As a result, he has risen from his modest origins to within arms-length of a shot at the top job in the country. His acolytes point to this as proof, if needed, that his coming to power will signal a transition to meritocracy in India, something USA boasts of. They want us not to engage him in secularism vs. communalism debate, instead focus on development based on Gujarat Model. His detractors want to take the debate back with their harping on 2002 post-Godhra Gujarat Riots. That is not fair. The right debate should be Kerala Model vs. Gujarat Model. Since 7th October 2001, as NaMO went about his inherited Gujarat Model with vigor and eventually laid claim to its ownership in order to fulfill his PM-ambitions, communists controlled Left Democratic Front (LDF) has ruled the state for 1822 days directing Kerala Model. LDF and United Democratic Front (UDF) alternate as ruling coalitions in Kerala. LDF is led by CPM. UDF is led by INC. Among them, LDF is more secular than UDF because communists are more sincere in their secular behavior than their counterparts in other secular parties including INC. It can be said that UDF thrives on exploiting the communal mindsets of both Muslims and Christians, not to mention certain higher castes Hindus who form bulk of its social base. The UDF therefore is what BJP-led NDA is at national level, with similar secular pretentions as NaMO-led NDA would become. (Read once again my article titled who is afraid of Narendra Modi?). This is why, in the 2011 assembly elections, BJP with its partner JDU in NDA (before Nitish Kumar pulled the plug due to personal rivalry with NaMO) contested all 140 assembly seats, it got a duck. Similarly, Mayawati-led BSP, the national party of Dalit and other Social Underclasses, did not succeed in getting a single seat, though it contested in all 140 assembly segments. Why does our most literate, prosperous and advanced state not give NDA a chance? If NDA alone can deliver India to happiness, why Kerala already enjoys such happiness, that India aspires to, without NDA and without its decisive leadership under NaMO? Conversely, could a CPM-led LDF of sorts, which I will christen as NBNCA (non-BJP non-INC Alliance), take power at center to implement Kerala Model at national level? This hypothetical NBNCA had 236 MPs in the 13th Lok Sabha elected in October 1999. The CPM was third largest party with 33 members. The CPM-led NBNCA could form a minority government advocating democratic socialist welfare state policies based on Kerala Model. It could be a politically stable coalition as long as it could find and place a non-controversial moderate communist leader at its helm to lead them. The man to do the honors was available and willing; he is no other than our elderly statesman Jyoti Basu, who then was serving for 23 years as West Bengal CM. He holds the record for longest serving CM of any Indian state. He was acceptable to a majority of MPs within INC, the second largest party with 118 seats and a faction of MPs within BJP, the largest party with 189 seats. He would certainly have provided a credible alternative to BJP and INC and in all probability provided governance stability as well as political stability, astute as he was like AB Vajpayee. Reality is NBNCA did not come about. CPM politburo did not endorse Basu. When most needed, his own party colleagues feared that rise of Jyoti Basu as a credible national alternative would damage their political ambitions of overthrowing Indian governance system through the ballot box. They feared that the system will swallow them. They were and are right. The realpolitik view is that any coalition leader will compromise on principles of clean governance and accord priority to the pragmatic goal of political stability. 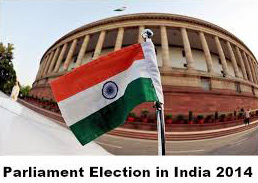 If non-NDA and non-UPA had faltered on political stability, it is because the leaders they chose were either light-weights (Charan Singh, VP Singh, Chandrashekhar, Gowda, and Gujral) or rigidly dogmatic (Morarji Desai). In coalition era politics, personalities who can play a team game are important. I know India is a cricket loving nation, a game that places too high bets on individual performance. This perception is changing with the emergence of T-20 format. As the pace gets faster, the team leadership skills do matter in holding the team to a common purpose above individual goals and in driving them to greater performance. Will Rahul Gandhi play the required raga? Or chanting Namo alone will propel us to earthly bliss? We will examine that and more in coming weeks, after a counterview is presented first. Thank you Web Admin, for promptly acting on my suggestion 1. 1. I urge admin to add links to previous episodes on this page of current episode for readers to quickly access them. 2. Benedict Noronha is a known expert on INC. Therefore, I leave him the floor to articulate what is known as Congress Model. 3. I look forward to known BJP experts (no, not those anti-BJP ones) to present a counter-view as readers opinions or in an exclusive. 4. I will have a feature on Gujarat Model Vs AAP Model in my next. I really admire the historic analysis of Philip. But one fact is true, tat India has grown treamendously since our schooldays. Now a fully concretised 20 feet road is there behind my house and Philips house. His land is now getting the benefit of 20 Feet Tar road and value of property is multiplied. all this within the last Two years. One must be very naturally thinking. India is developng faster and UPA has done wonderfully well. rural places are developed so much now I can go to my Panchayath office in 15 minutes, where as three years ago I had to take 2 hours or Six k,.m round. What a change. Under the leadership Rahul Udupi district has been growing faster- see the NH-66 and other rooads. See the traisn and motor traffic. It is time younger generation follows the leadership of young like Rahul and not of running arround crazy Kejrivala who has lost the company of Bedi and other ani corruption fighters. 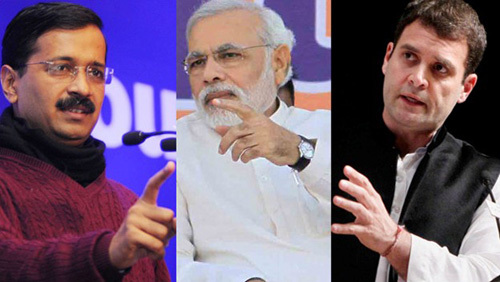 Kejri will be one month leader and narendra Modi means crimes and another godra ? All christian prayer houses will be extinct I fear. Choose a fair thinking party and leaders. Cast your VOTE. An apt political analysis and it was pleasure to read and understand fully what it means to be a role model and development of a state. Yes, shouting slogans at NAMO brigade about development of Gujarat will not reap much results eventually. It is easy for the people of other states to believe from far away just like a green beautiful mountain from far away than knowing the real fact how to difficult it is to climb with thorns and obstacles of all sorts. Well explained about the role model of Kerala government. Looking for more episodes and eager to know what is actually developed in Gujarat?????!! !